Located in an aeronautical factory on North 3rd Ring of Beijing, the existing warehouse is a three bay 36 meter deep concrete structure, with 4 meter high space in first two bays and 7.8 meter space in last bay. 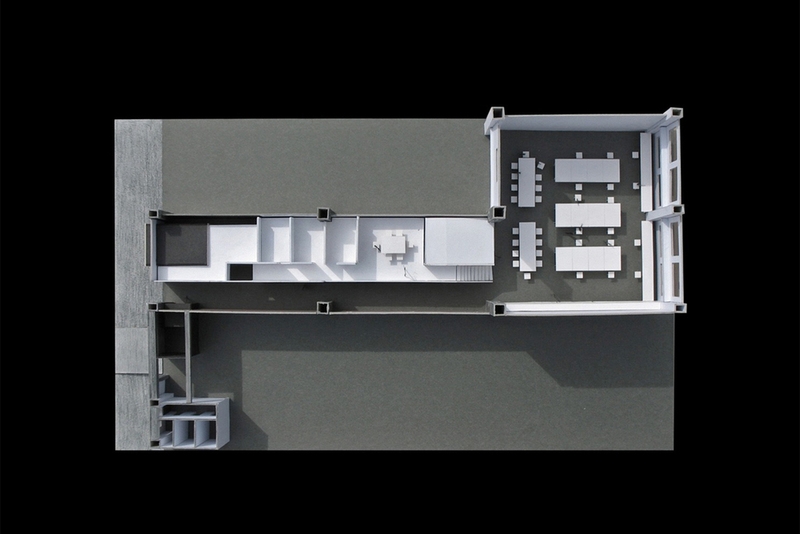 The key issue of design is to preserve the full height space for work area by inserting a mezzanine floor in 4 meter high space, creating extra work area on top and storage space underneath it. The contrast between very low space on mezzanine and very high space of main area generates a spatial tension. 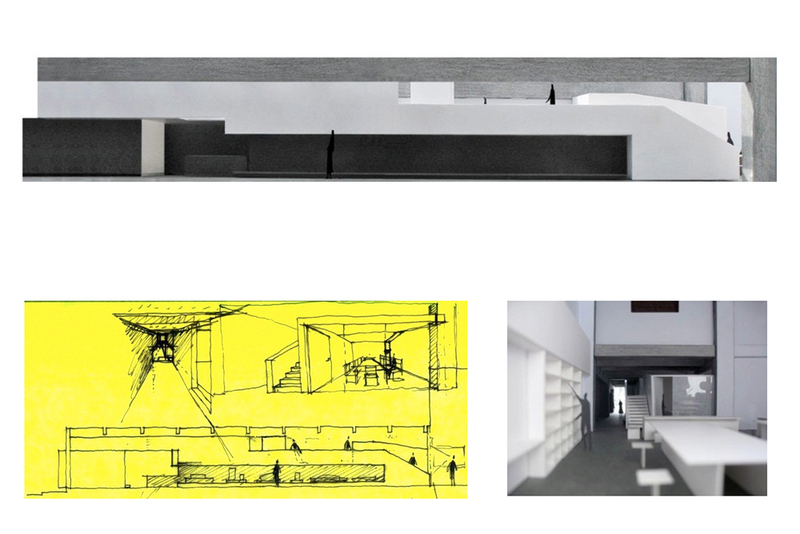 A niche underneath the cantilevered floor functions as the model displays. The original facade is demolished and changed into full height glazing to reveal the inserted white volume of intervention. The lounge room, as a new element, is projected out from facade and turned into a showcase. While the major materials used for new elements are steel plate, frost glass, white gypsum board wall and vinyl floor to create abstraction of pure volume, the original material of existing elements such as concrete, steel and wood is re-exposed by removing the paint so as to emphasize its tectonic. Thus a strong contrast is created between the abstraction of new element and heavy textured existing structure. Program: office, meeting room, gallery, storage etc. Floor area: 430 sq. m.